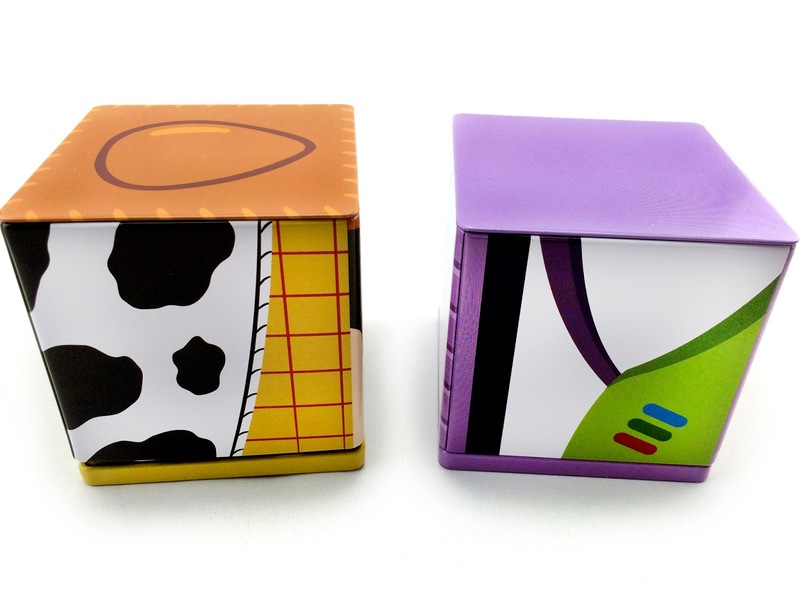 Buzz Lightyear is as charming as ever on this collectible container. 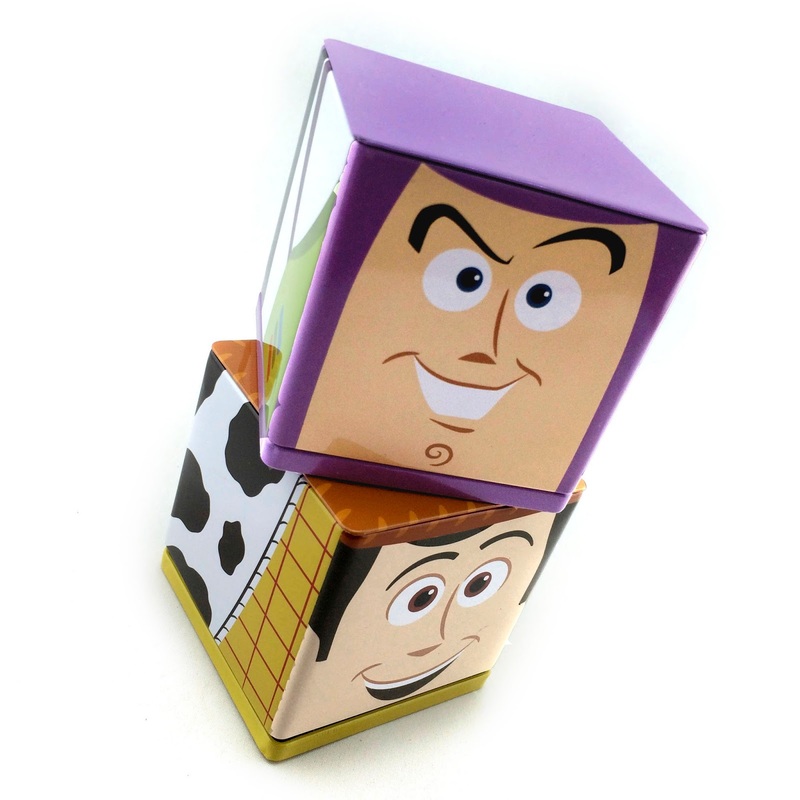 Use this tin to hold a special gift or to take your home or office decor to infinity and beyond. 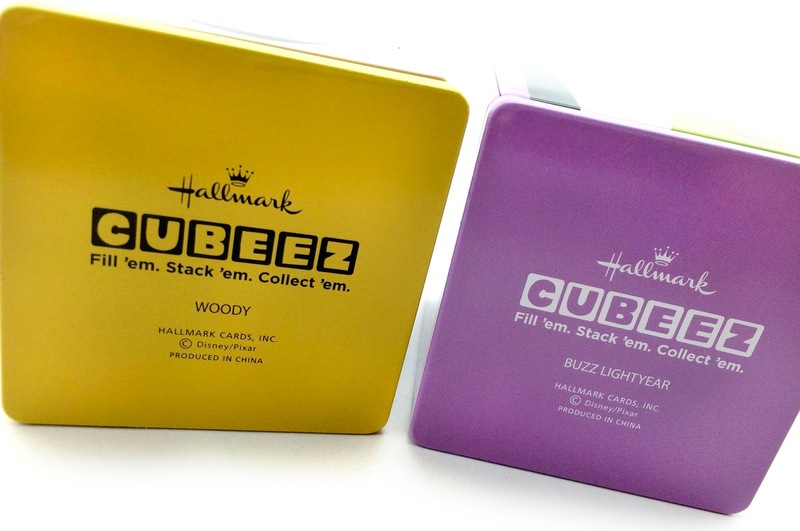 CUBEEZ tins are stackable, fillable and collectible. Start a collection of favorite characters for a friend, a loved one or yourself. There we have it. 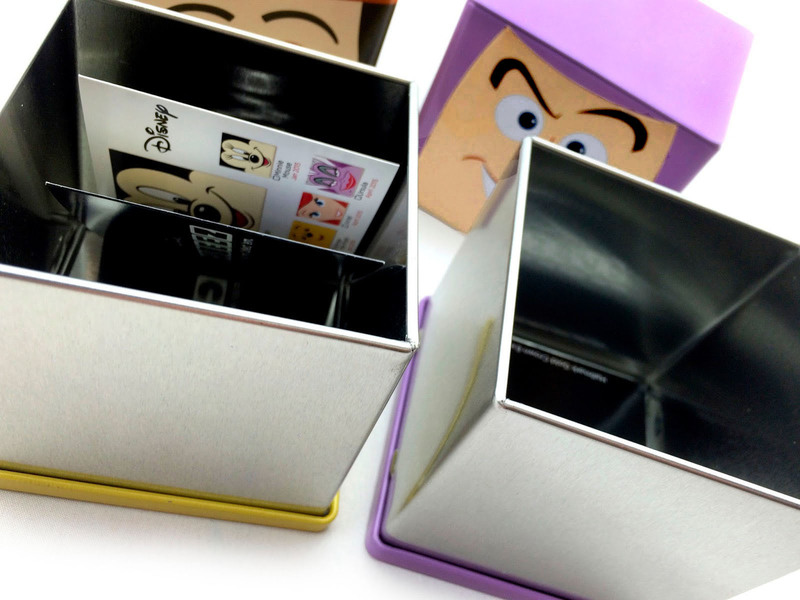 So many possibilities with CUBBEZ! As for me, I got these for stacking and displaying, but you can most definitely fill them with little trinkets as well. 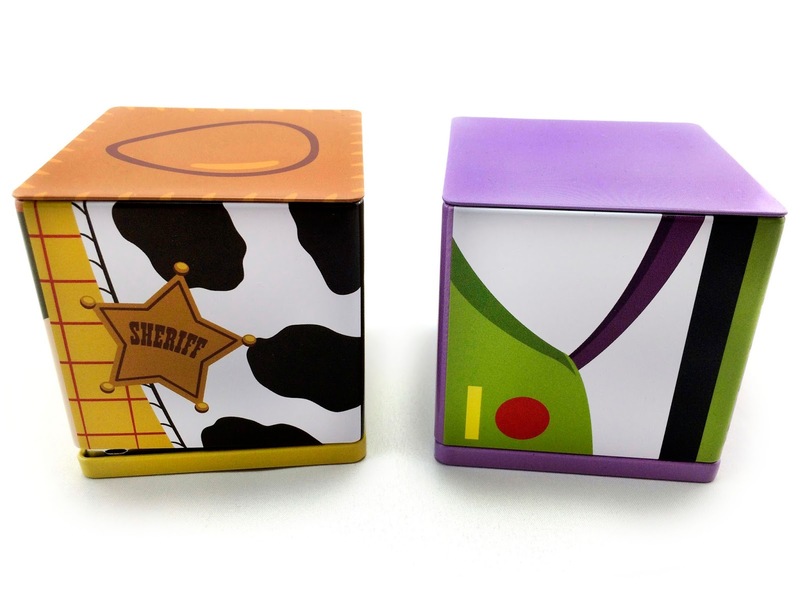 I just loved the look of these stylized, cube versions of these characters and, as a collector, I just couldn't resist. 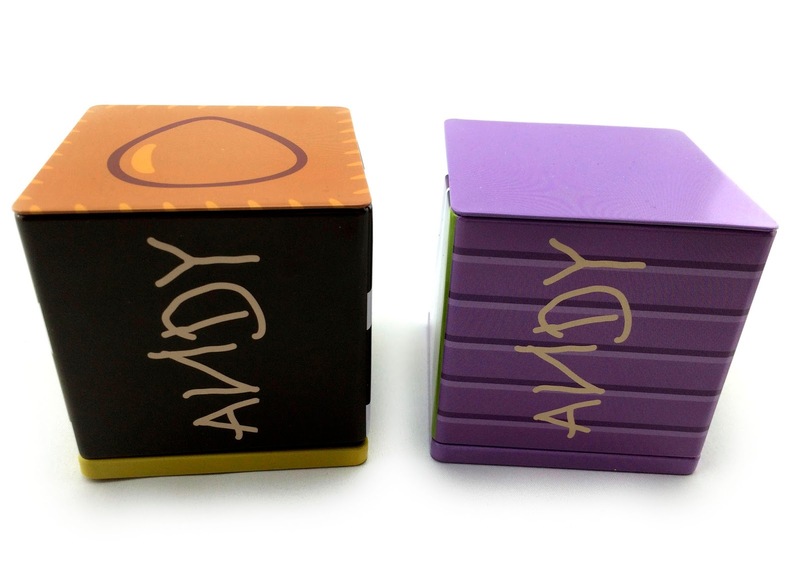 Each CUBBEZ is 3" W x 3" H x 3" D. They retail for $7.95. Check them out in more detail below! Lift the top and it slides right off. Inside there's a little booklet that features their entire current Disney CUBEEZ collection (including classic Disney, Star Wars, Pixar, The Muppets, etc.). Look for my write-up on the Finding Nemo ones right here soon! 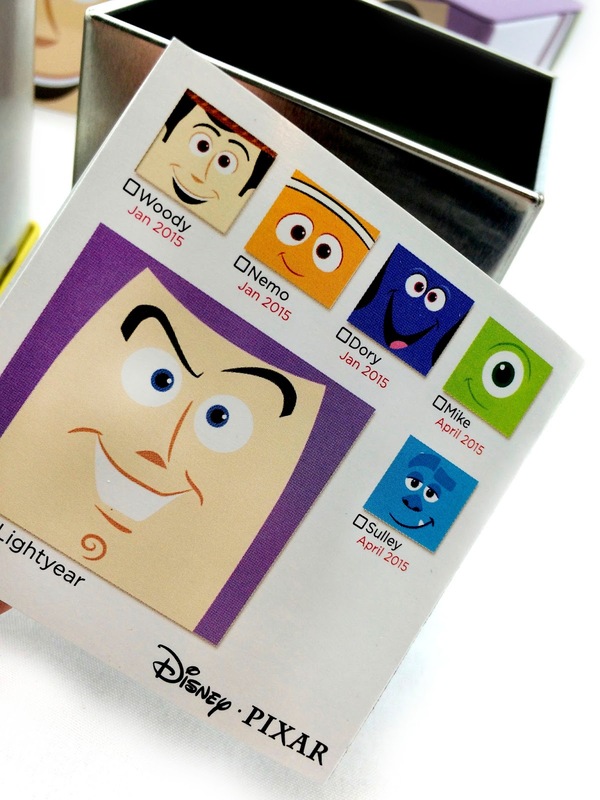 The Monsters Inc. ones will be available in the Spring and you know I'll post on those as soon as I get them as well. 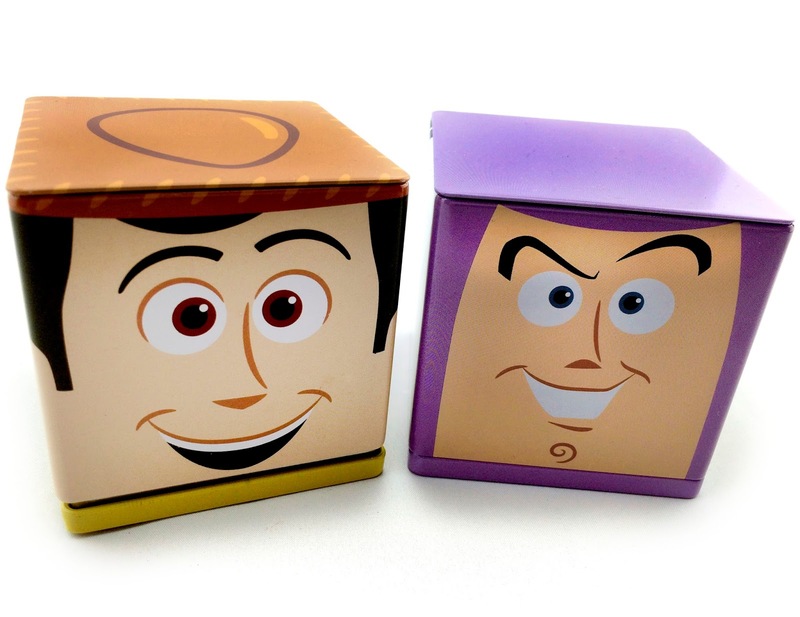 You can currently find these at Hallmark stores, or purchase them online (HERE for Buzz and HERE for Woody). A big thanks to my parents for getting me these for Christmas!